Psychology can contribute to social issues as well as offering important therapeutic interventions. 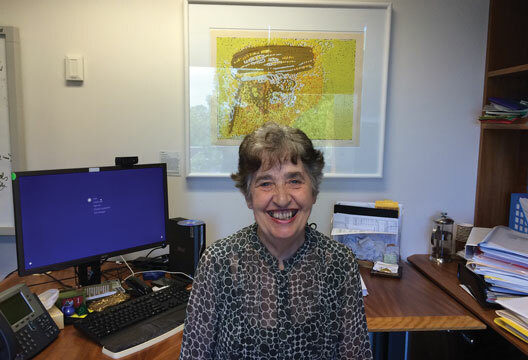 Alison Soutter, a member of the British Psychological Society, heads up an Australian psychology service working with children and families in the child protection system. I talked to her about what she does and the route she took to get there. Alison, could you tell me about your service and what you think is unique about it. It consists of around 70 psychologists working with children and families in child protection and out-of-home care. They are unique in that trauma is a part of almost every presentation in their clients and so they are very experienced in this area. Our service has four functions: consultation, assessment, intervention and training. Through consultation we add a psychological perspective to case planning so that we are able to work with social workers to ensure that the child’s emotional wellbeing is at the forefront. We assess to inform interventions and to obtain services for children and young people. We use the assessments in our liaison with educational psychologists to assist the children’s schooling. We train teachers to work effectively with children affected by complex trauma, and we train and sometimes coach social workers, especially in motivational interviewing. Psychologists are the most stable part of the workforce, so they know the communities they work in very well. The average length of service is about nine years. Very few psychologists leave unless it is to retire, and there is little absenteeism. This is because we work hard to support them and to prevent vicarious trauma or deal with it as soon as possible. Having worked for a long time together the psychologists have strong informal networks of support with each other. The psychologists work in teams of seven to nine spread over a fairly large area, with a team leader who is always a psychologist. They each have a peer supervisor who they choose with some guidance from their team leader, and there are a number of set supervision days. There is an annual conference and a programme of webinars. They are encouraged to do further study, and if they do they are provided with 24 study days a year plus examination leave. I assume it’s a challenging area to work in? The children’s stories are so terrible that you have to focus on what you can do, not what you can’t. And we do have many successes because the social workers and psychologists in this field are inspirational. No matter what you do to protect yourself there will always be a child whose story gets to you. Usually this is because you can clearly see that it was only luck that prevented this happening to you. When you know this is inevitable, you can have strategies ready to deal with it. We all know what comforts us, but to access comfort you have to admit you need it. That is what I try to do myself and encourage others to do. What can psychologists add to the work of other professionals? Psychologists work closely with social workers in our service. When social workers are allocated new cases or when they have questions about what is happening within a family or are curious about a child’s behaviour, they consult the psychologist who works with them. Sometimes the psychologist will provide advice, for instance on how to break bad news to a child, while at other times they will accept a referral to carry out an assessment and an intervention. The psychologists also deliver training to social workers in topics such as trauma-informed practice, suicide prevention, the ARC (attachment, self-regulation and competency) model, behaviour and trauma, and motivational interviewing (in which they provide ongoing coaching). They also provide training for foster carers to help them meet the needs of very vulnerable children. Without a dedicated psychological service it is unlikely that most of the children in the out-of-home care or child protection system would get access to therapy. In Australia, as in the UK, CAMHS services are stretched, and in remote areas there are few other psychologists. Tell me a bit about where you grew up and your family and educational background. I grew up in Australia and was accelerated through school (because I was a first wave baby boomer and they needed to push children into the half-empty classes of war babies, since the boomers classes were overflowing). This meant that I went to Sydney University as a very innocent 16-year-old, and so I loved everything and wanted to know everything. I had a scholarship which I supplemented by going on television quiz programmes. I was young, shy and pretty, so they slanted the questions to suit me and I won quite a lot. I came from a family with a psycho-analytic outlook, which was a bit unusual in Wagga Wagga, where I was born. Psychology has always been part of my life. My mother listened to a weekly radio talk by a child psychologist, Adrian Troy, and during school holidays I listened in too, and I was intrigued by what he said. He made me think about life in a different way. He showed the complexities in clear simple language that I could understand. What training route did you take? I read psychology and English at the University of Sydney and stayed an extra year to get a diploma in education so that I could be a teacher. While teaching during the day I completed a master’s in psychology at night. After I graduated I was selected to do an educational psychologist’s course, which I completed and became a school psychologist. What surprised you, pleased you and interested you in the subject? I had always been an avid reader, and so I loved psychology because it was all about people. Since I studied psychology and English at the same time I saw how Chaucer was an insightful psychologist and that psychology is an art rather than a science. So one of the things I do as a psychologist is tell children stories, especially Greek legends. It is so calming and an easy way to engage both children and adolescents and have them remain very present. Naughty children have interested me, most possibly because I was always so good as a child and wished I had their courage. Later I realised how often there is a trauma background. These children are the real outsiders in society. Behaviour problems are the unrecognised disability. School should provide these children with opportunities, but sometimes they are demonised. Tell me a bit about your work history. I started as a high-school English teacher and then became a school psychologist, known in NSW as school counsellors. They do a lot of clinical work with pupils as well as assessments and interventions. After six years I decided that I needed to go back to teaching to keep my connection with the coalface, and so I taught at a Steiner school where the teacher keeps the same class for eight years. I wanted to understand more about what sorts of things were predictive of later successes or problems. I only worked with the class of 25 children for four years, but they taught me a lot about child development. I took that knowledge back to school counselling. I did some interesting work on the effects of repeating any of the first three years of schooling on academic achievement in the early high-school years. As many other have done, I found that repeating a school year was the worst possible intervention. I then came to England where I did a bit more Steiner teaching, then taught A-level psychology while tutoring in educational psychology at the Open University. I became a senior lecturer in developmental psychology at the University of Luton, which was just starting up. I stayed 10 years in England and then returned to NSW as a school counsellor specialising in challenging behaviour, an area I had become interested in at Luton. From school counselling I moved into programmes for pupils whose behaviour impacted on their learning. I got a large grant to set up mentoring programmes in schools throughout NSW so that vulnerable pupils were supported through each educational transition. After some years I moved into child protection, having learnt along the way that many behaviour problems arise out of neglect and abuse. Are there real differences, in your experience, between psychological work in the UK and Australia? What are the pluses and minuses of each system? There are real differences between the approaches to psychology in the two countries. Australian psychological thought is more influenced by the US than by Europe, so there is less emphasis on the social construction of mental illness or even of behaviour problems in children. On the other hand, in Australia there is an emphasis on making psychologists accessible. As I previously mentioned, school counsellors do a lot of clinical work because they work in the school, close to pupils and teachers. Psychologists in the child protection system work alongside social workers so they can take referrals more easily. There are also Headspace Centres in many towns which provide early intervention mental health services to 12- to 25-year-olds. General practitioners can refer patients to a psychologist for treatment under a programme designed to give people better access to mental health. What would you say to someone thinking of training as a psychologist? What advice would help them? I think that psychology is becoming more and more important to society because people are in danger of becoming isolated. We know that people speak less to others face to face because they use many different media to communicate. The family has changed enormously, and this is difficult for adolescents who need adults around them. So I would say that if you are interested in people, community wellbeing and social justice, psychology is the career for you. There are likely to be more vulnerable people as society changes, and psychologists are well placed to help them find their way. Because I care about vulnerable children and young people I do a lot of training and lecturing in this area. I believe in the importance of human interactions, so I train people in inclusive techniques such as storytelling and playground games. This is underpinned by the ARC model developed by Kinniburgh and Blaustein, which I use to help children reconnect to their families and communities and learn how to manage their feelings and behave appropriately.